The scale, colors, and retro style make “Yesterday’s Tomorrow” by Brian Holderman a standout. 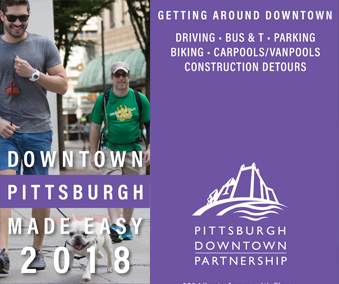 Plus, the mural’s overall message really embodies what Pittsburgh is all about: embracing the past while focusing on the future. 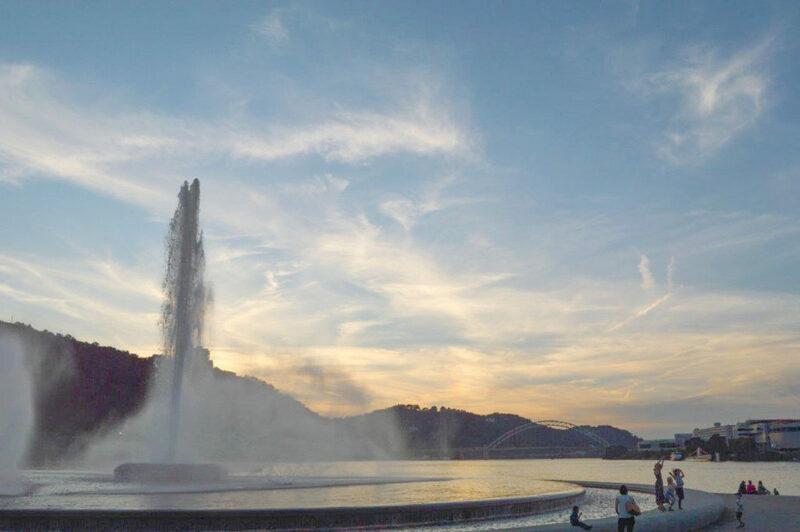 The Point State Park fountain boasts a near 360 degree view of the city, with breathtaking water views where the three rivers meet. The water in the fountain is turned on from April/May to late October, so there’s a pretty large window to snag the perfect photo! 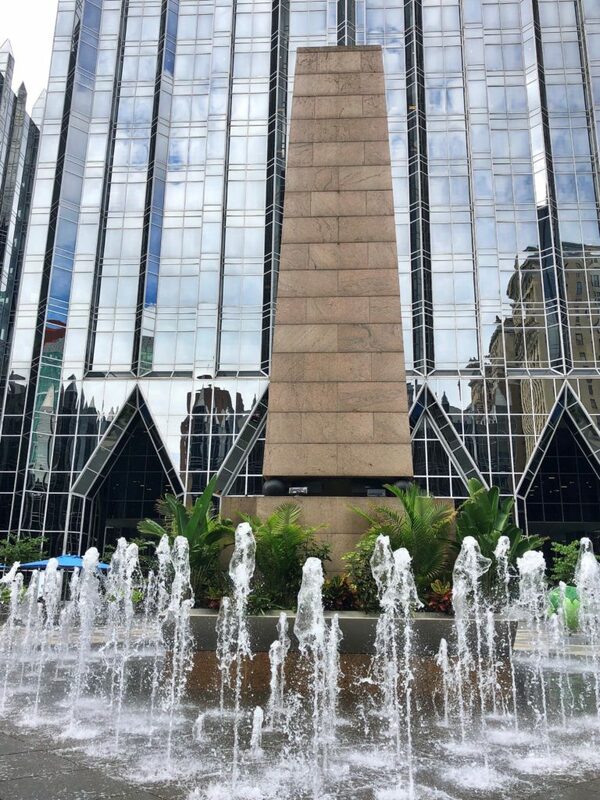 Another photogenic water feature in the city is the PPG Water Feature at PPG Place. The fountain operates from 6:00 a.m. to 10:00 p.m. daily in the warmer months. If you’re willing to get wet, visitors are permitted to interact with the fountain Monday through Friday from 5:00 p.m. to 10:00 p.m. and Saturday and Sunday from 11:00 a.m. to 10:00 p.m. If you’re just in it for the photo, the fountain shoots water in varying patterns, so there’s plenty of chances for a cool photo op. The archway at the Pennsylvanian looks like part of an English castle, but it actually resides here in Downtown right on Liberty Ave. 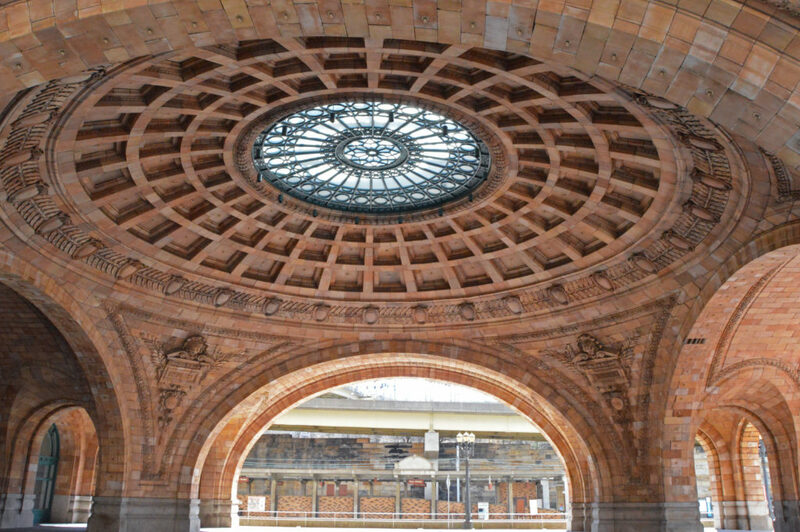 The archway was originally constructed for Pittsburgh’s Union Station and remains a key part of Pittsburgh’s architectural grandeur today. From wedding photos to portrait shots to selfies, this spot is sure to please. 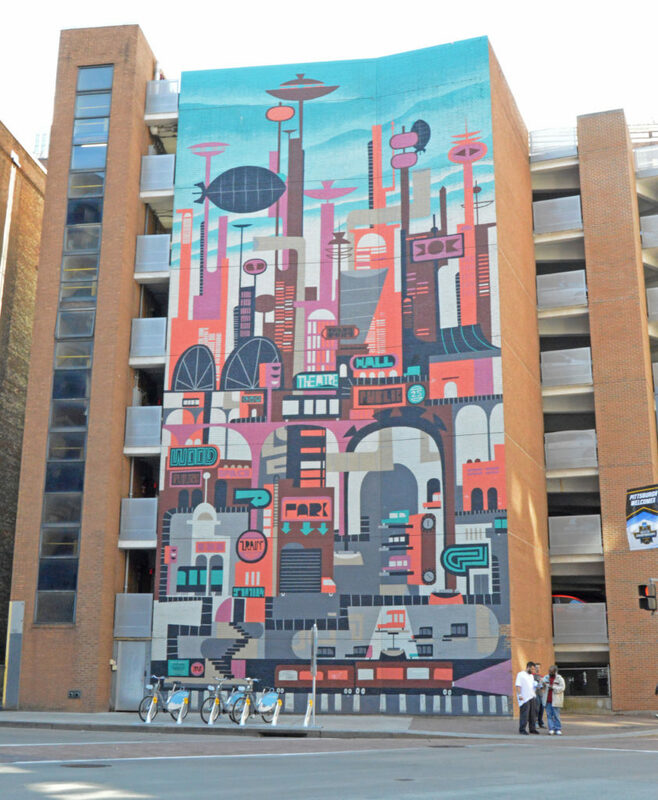 One of our projects, the street mural stretches along Strawberry Way for three blocks—between Smithfield and Grant Streets. 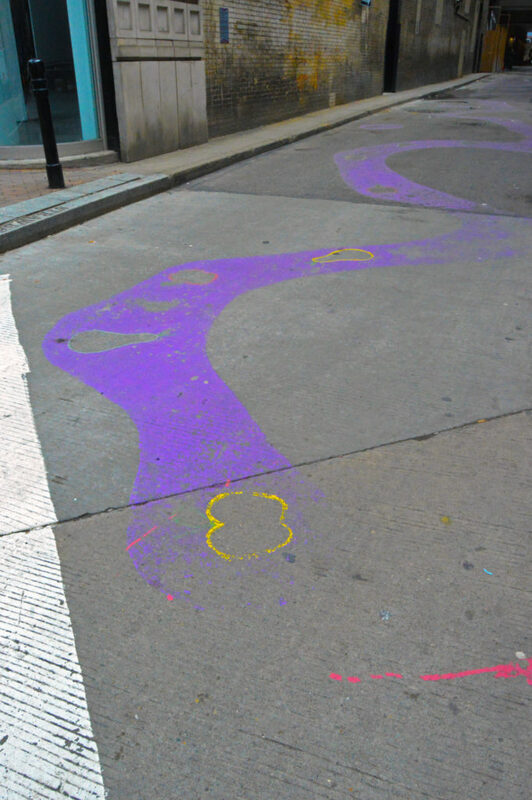 Currently, Strawberry Way hosts colorful artwork by Julie Mallis called Who Gets the Most, which invites the public to interact with painted pathways and depictions of various fruit that are cultivated in the Pittsburgh region. 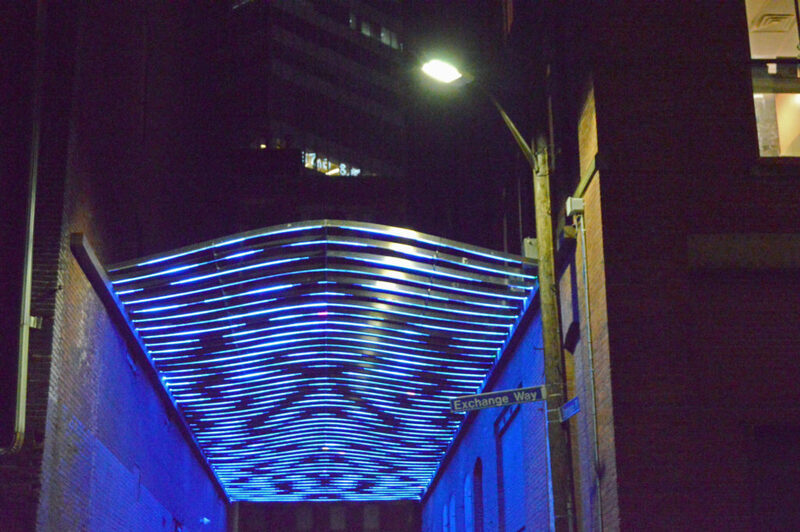 Read more about our Downtown Activation + Public Art series here. 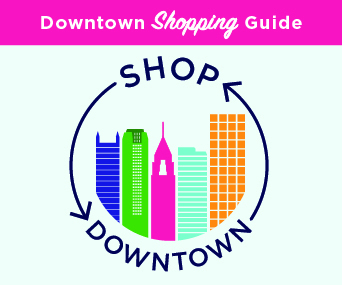 Another PDP-sponsored project is located on Garrison Place between the 900 block of Liberty Avenue and Exchange Way. A gazebo of colorful lights by artist Andrea Polli, Garrison Canal is a perfect backdrop for a dramatic shot. 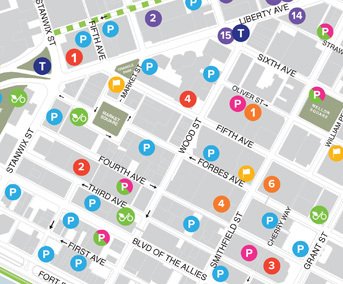 For more on the Downtown Activation + Public Art series, click here. 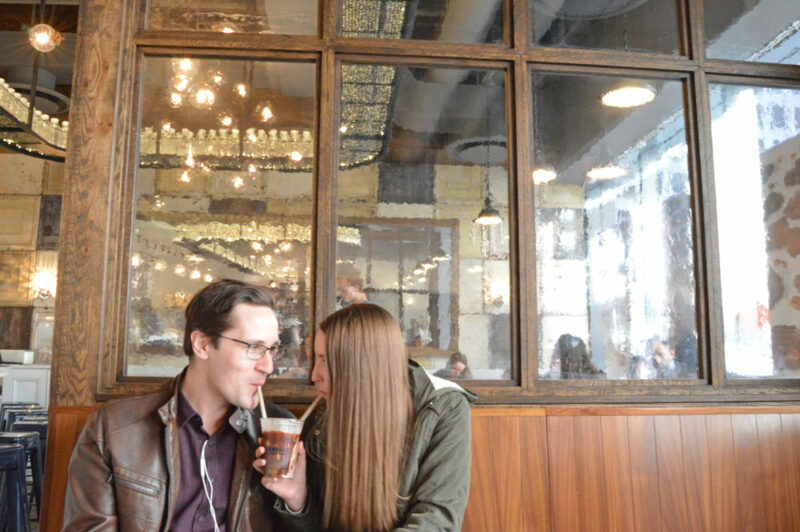 An indoor location that serves as a perfect backdrop for photos is the Milkshake Factory on 5th Avenue. The décor is totally vintage, complete with foil wall tiles, authentic milk bottles, and soft-white lighting. Order one of their delicious gourmet milkshakes for a staged photo that looks straight out of the 50’s. 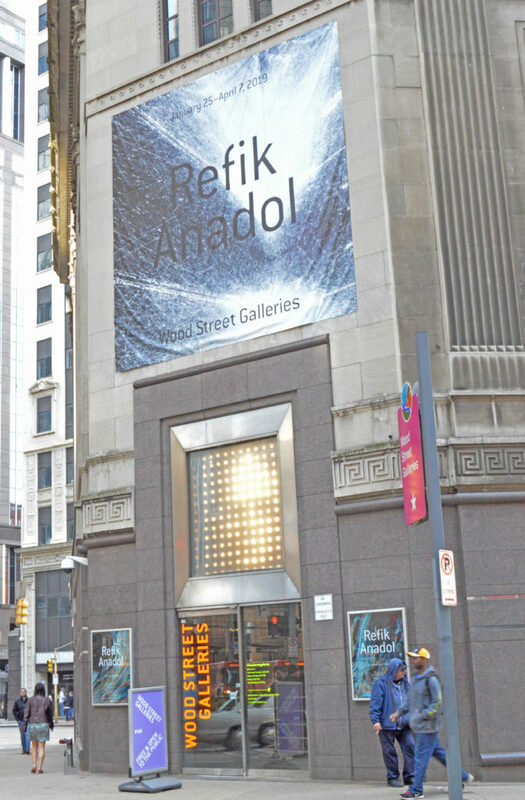 The Wood Street Galleries features new artist installations every few months, usually around the Pittsburgh Cultural Trust’s Gallery Crawls. The content is constantly revolving, but always fresh and exciting! The best part? Admission to the gallery is free. 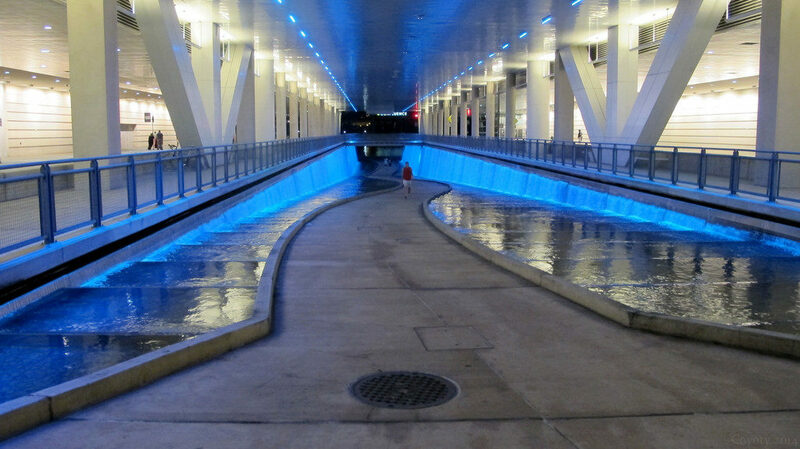 The water feature at the Convention Center is a perfect backdrop for photos during the day, or at night when the colorful LED lights line the walkway. Whatever time of day you chose, you’re sure to get a great shot. The industrial vibe, modern aesthetic, and neon signs of Union Standard make it a unique photo spot. 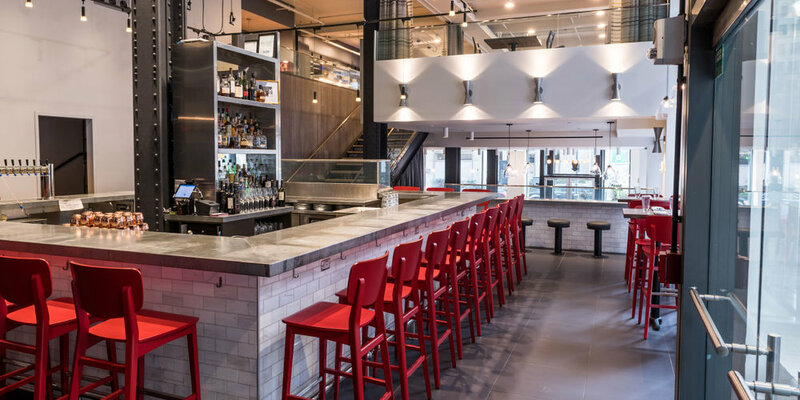 Grab brunch or cocktails while you obtain that Instagram-worthy shot. 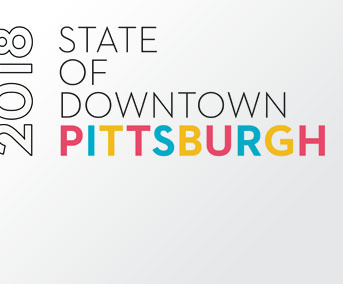 Upload your picture using #DowntownPittsburgh for a chance to be featured on our channels!